He’s deep, he’s Greek and his beard is on fleek. Who are we talking about, folks? Aristotle — duh. And he’s the original gangster of landing page optimization (sorry, Oli Gardner!). Philosophy buffs are all too familiar with Aristotle. But what about marketers? Sure, he’s, like, really dead, but Aristotle and his teachings are still relevant for marketers today. Because amidst all his contributions to topics such as physics, biology and poetry, Aristotle was also a man of persuasion. Aristotle believed that effectively leveraging all three modes of persuasion was the key to, well, persuading. In marketing campaigns, you can leverage his strategies to create high-converting landing pages. So how do you apply these high-level persuasion strategies to your landing pages, thus getting you more qualified leads? It’s quite simple actually, and I’ll show you how. The orator persuades by moral character when his speech is delivered in such a manner as to render him worthy of confidence. Although Aristotle insists that, “…this confidence must be due to the speech itself, not to any preconceived idea of the speaker’s character,” in today’s world of Google, Facebook, LinkedIn, and — dare I say — Snapchat, it’s impossible not to consider the person’s (or brand’s) reputation. When discussing landing page optimization, we can relate ethos to credibility and trust. Without it, who’s going to fill out your lead gen form? 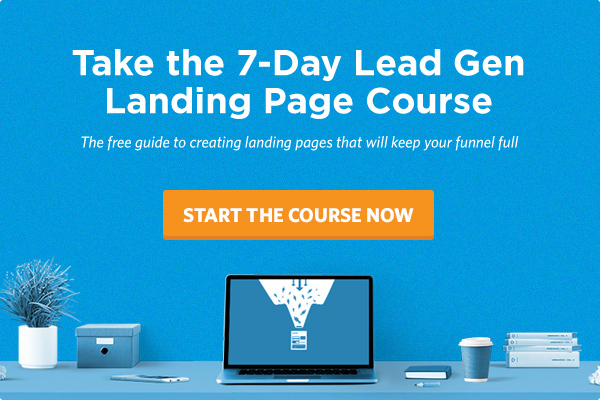 Here are some strategies for boosting the ethos of your landing pages. 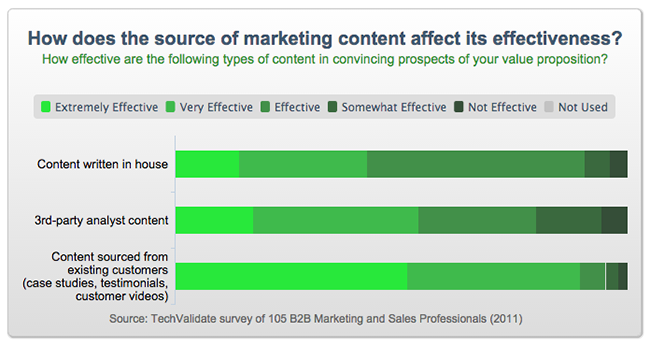 A TechValidate survey of B2B marketing and sales professionals revealed that 94% of respondents found customer-sourced content as either very effective or extremely effective in convincing prospects of their value proposition,” illustrating the importance of including your customer’s voice in your marketing strategies. You can inject social proof into your landing pages using case studies or testimonials, either in written or video format. Beware, though: not all testimonials are created equal, so do your homework before hitting publish. Aristotle’s social proof: Character may almost be called the most effective means of persuasion. For those unaware of what SSL is (don’t worry, I would be if it wasn’t relevant to my job), it’s the industry standard for web page security and encryption. It’s indicated with a little green padlock in the corner of your browser address bar and the HTTPS in the URL. According to a recent report from GlobalSign, 77% of people are concerned about their personal data being intercepted or misused online. That’s a huge piece of your customer pie, so you want to do everything possible to ease that anxiety. Enter SSL; it’s a simple way to increase your landing page visitors’ trust (a key component in establishing ethos). And for Unbounce customers on Pro99 plans and higher, custom domains come with SSL automatically included. Convenient? I think so. The second leg of the persuasion strategy trifecta is logos, which relies on facts, figures, quotes and stats to appeal to logic and reason. Aristotle stresses the importance of establishing truth (or apparent truth) in order to effectively persuade. Fortunately, it’s easy to appeal to logos on your landing pages—lemme show you how. According to Joanna Wiebe, persuasive copywriting maven of Copy Hackers, the more you hear a message, the more likely you are to believe it’s true; it’s referred to as the Illusion of Truth Effect. In a 2013 Microconf presentation, Wiebe referred to another repetition strategy called the 3D strategy, whereby you repeat a different variation of the same message three times in sequence. 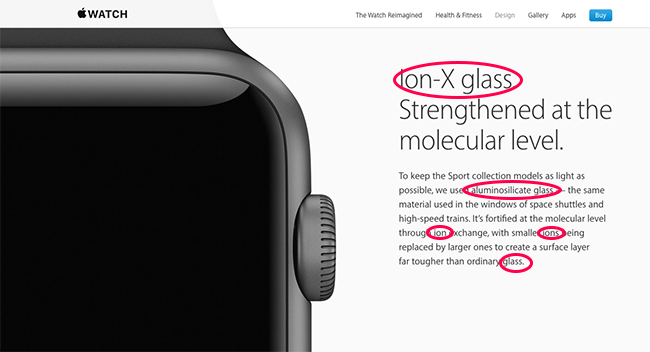 Apple does a great job of implementing both of these strategies in their Apple Watch landing page seen below. 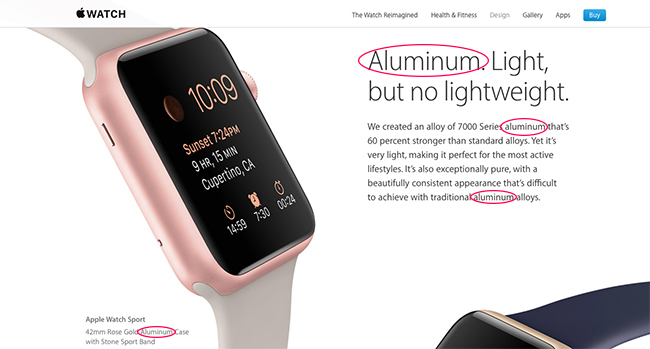 Think the Apple Watch might be light? And made of aluminum? Yeah, me, too. Did we mention it’s made with Ion-X glass? Sounds legit. Features are “factual statement[s] about a product or service” — basically all its bells and whistles. You’ll often see features highlighted when shopping for a new cellphone: up to 26 hours of battery time, 64GB internal memory, wireless charging… the list goes on. 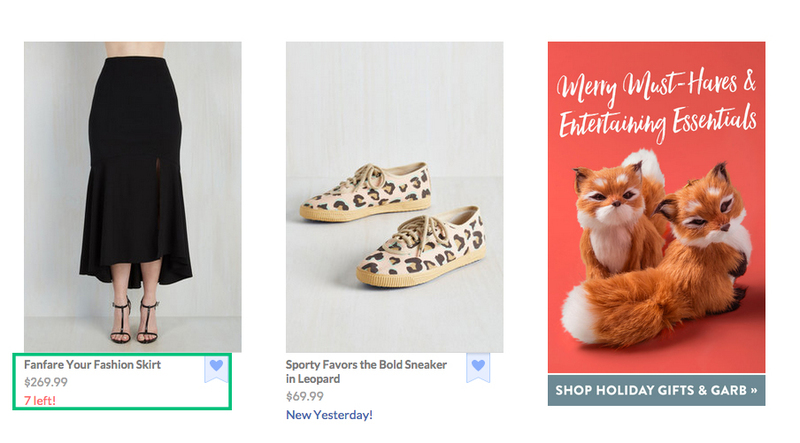 In this case, features are important because they allow you to easily compare products to ensure you end up with the one that ticks off the most wants on your list. But in most cases, landing pages need to go beyond just features, since most people generally don’t respond to only a laundry list of specs. Instead, we recommend focusing on the benefits your product or service will offer, and how it will make your prospect’s life better/easier/happier. Los Angeles-based meal delivery service Kooshi does a great job of highlighting features and benefits. The features? 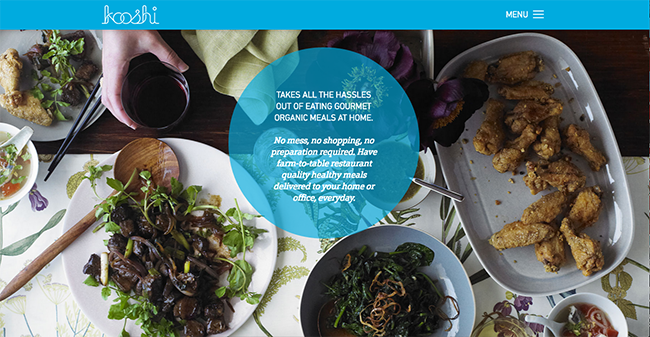 Organic meals, delivered to your home or office everyday. The benefits? You skip the mess, shopping and food prep. Count me in! In short, features and benefits are a hybrid of the logos and pathos strategies, and are especially effective on landing pages when presented together. The final mode of persuasion is pathos, which is the appeal to emotions. In other words: hitting your prospects right in the feels! The orator persuades by means of his hearers, when they are roused to emotion by his speech; for the judgements we deliver are not the same when we are influenced by joy or sorrow, love or hate. Have you ever landed on a company’s webpage and had such a visceral reaction you couldn’t hit the back button fast enough? Yeah, me, too — and immediately my perception of the company is sullied. On the other side of the spectrum, I’ve landed on such beautifully designed pages that I could cry. Visuals can evoke strong emotions, and it happens quickly. In a 2012 study by the Missouri University of Science and Technology, researchers found that it takes less than two-tenths of a second to form a first impression. That’s less time that it takes me to chow down a slice of spicy pepperoni pizza (which takes about three-tenths, if you’re wondering). Google also found that pages with low visual complexity (having fewer elements on the page) are perceived as highly appealing. And although the study doesn’t mention whether this impacts conversions, it’s no secret that simplicity is key when designing high-converting landing pages. Website builder Wix does a great job of reducing visual complexity in favor of appeal. Notice the single call to action and the great use of whitespace. The moral of the story? Make a great first impression, and only include the bare minimum you need on your landing page to convert — seems simple, right? Me. Every time I go out. Scarcity is a really powerful state that can illicit strong emotions. It taps into our survival instincts, and it drives us to take action — which is the primary goal of a landing page. I swear, I almost bought it. Urgency is another emotional trigger you can use to boost conversions. Order now and get it by Christmas! Don’t miss out! Only 4 days left! You get the picture. Few qualities are as important as empathy when trying to get your visitors to convert. Knowing what your customers’ pain points are and showing them how you can help is not only smart, it’s necessary. People can tell when you’re just trying to sell them something. But when you’re trying to help them, their perception shifts. For example, below is a landing page from Sitter, an app for finding and booking babysitters. Sitter recognizes that hiring a stranger for childcare can be stressful — and scary — for a parent. Sitter alleviates that fear by allowing parents to “build a private network of the parents you know and the sitters you all trust.” Sitter shows visitors that now finding a sitter is easy — and enjoying your time while the kids are at home is easy, too. Sitter uses empathy to appeal to busy parents looking for reliable babysitters. If you aren’t exactly sure what your customers’ pain points are, put yourself in their shoes and try to imagine what issues they might be facing. Ask current customers what their experience was like. Tap into your social media pool by asking via Twitter or Facebook. It’s not hard, just get on the customer’s level and give them what they need. Aristotle’s empathy:To write well express yourself like the common people but think like a wise man. Am I effectively leveraging ethos, logos and pathos or maximum conversions? Does my audience trust me? Do they believe me? And perhaps most importantly, did I make them feel like they need my product or service? Because although we can’t all grow a beard as epic as Aristotle, we can certainly influence like him using the three modes of persuasion. And if you’re still thinking, “It’s all Greek to me!” I hear wine helps get the creative juices flowing.